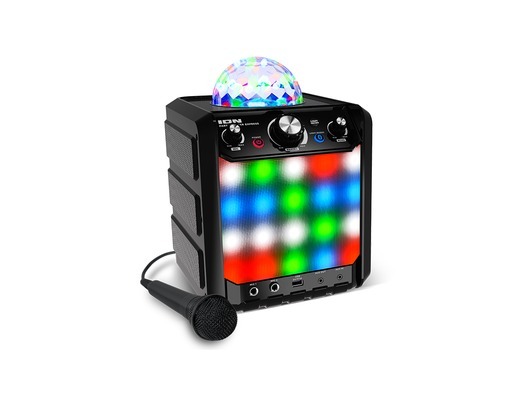 The Ion Party Rocker Express is a wireless Bluetooth speaker with built-in party lights. It streams your favourite music wirelessly from any Bluetooth device and projects colourful lights around the room which pulsate with the music. Here's proof that big fun comes in a compact package. 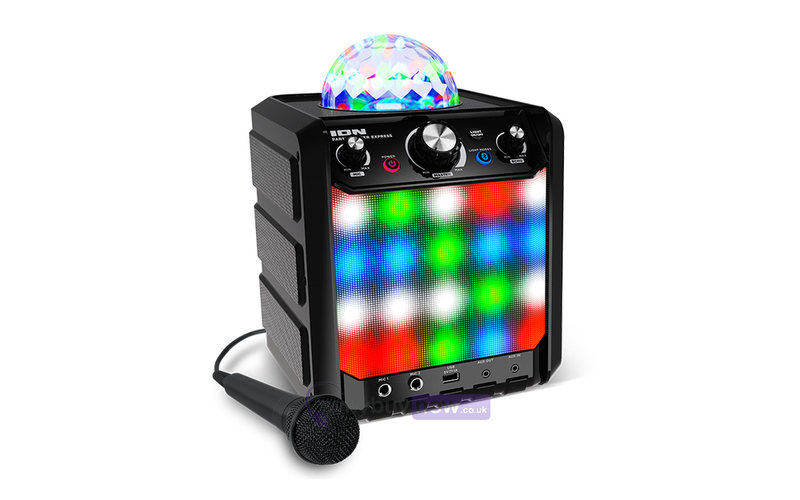 Party Rocker Express has everything you need to transform any get-together into a special occasion. With its powerful 4-inch 2-way speaker, the sound is rich, vibrant and lifelike. You can stream music wirelessly from any Bluetooth® device or use the Aux input to connect another source. The spinning light dome fills your room with four dazzling colours - Red, Green and Blue. The lights change pattern and pulsate in time to the music. The grille is completely illuminated by multi-colour lights. The total effect is an unforgettable music and light show! 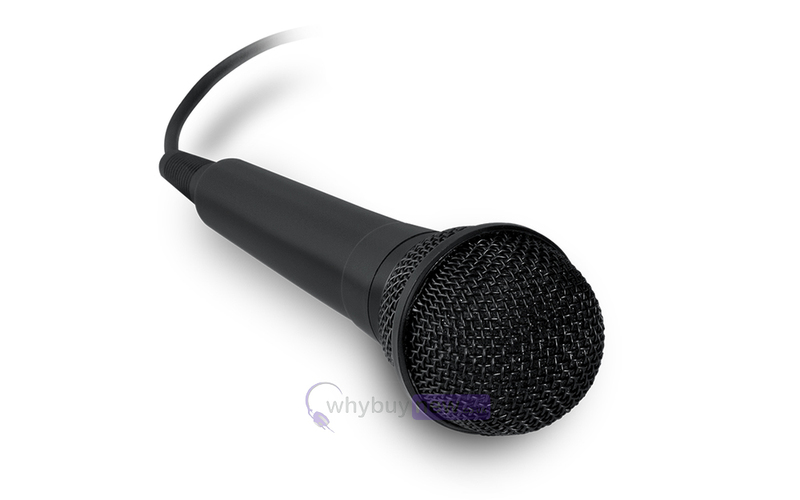 A high-quality microphone and cable are included. 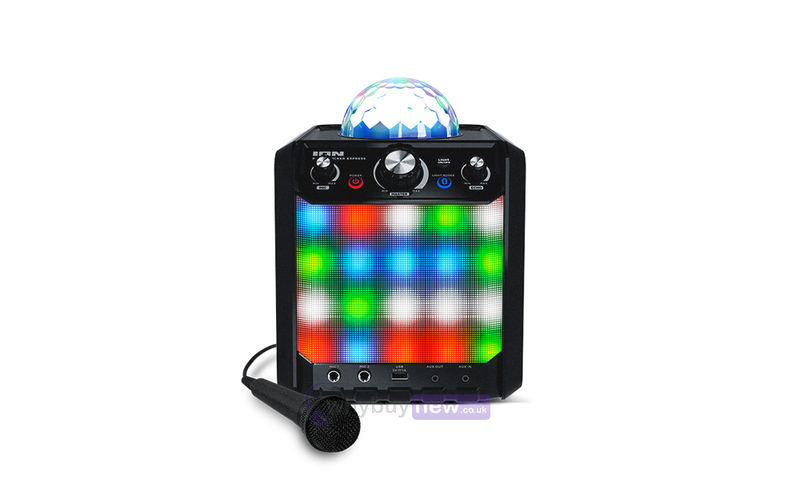 Party Rocker Express also has an Echo Effect with dual microphone inputs so your Karaoke competitions sound like big-budget productions! Here we have the ION Party Rocker Express in new and manufacturer refurbished which will come boxed 'as new' with a 1-year warranty. 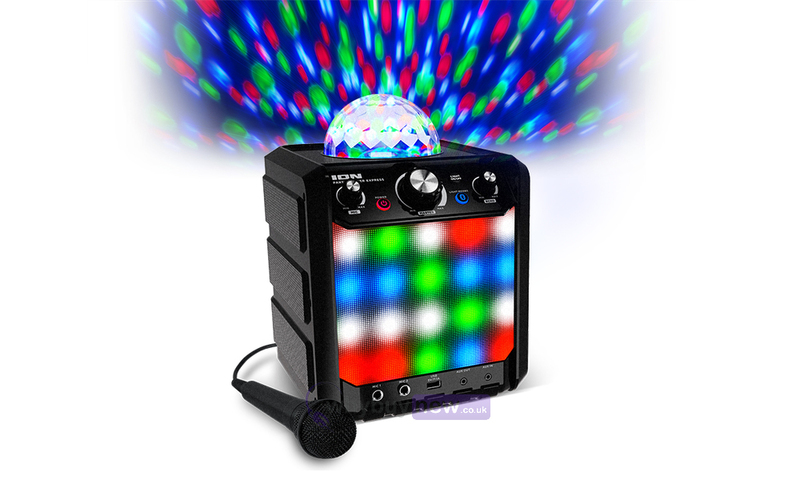 Buy this amazing Party Rocker Express with confidence with 100% satisfaction guaranteed or your money back!